Already Have A Plan, Want A Price? 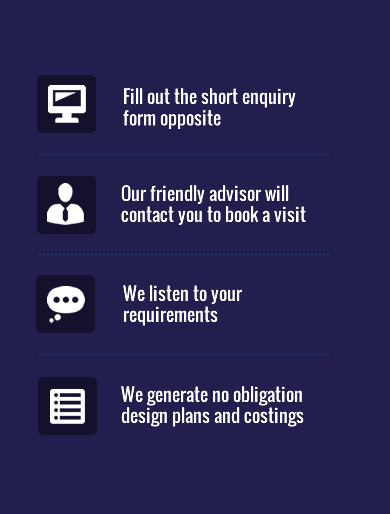 Arrange a home or in store consultation with one of our designers today. Unsure on a colour but set on a style? Deelux … Kitchen Specialists based in Chester & Nantwich. Deelux Kitchens is based in the heart of Chester & Nantwich . We are a proud British manufacture that has been manufacturing kitchens in Cheshire for over 10 years. We provide kitchens for any budget, whether it’s a rented property or a new house build. We use the latest 3D software to bring your room to life. If you bring in your measurements or book a design visit we can show you how your kitchen can look. Each kitchen from Deelux comes complete with a free interior design consultation with our in house interior designer . Christine will help you choose wall coverings, flooring, window dressing, lighting and much much more. With over 35 years of designing skills, Deelux will create a new kitchen tailored to your needs and your lifestyle. Here at Deelux we have many happy clients throughout the Chester, Nantwich and Cheshire area with some flagship kitchen designs in Hoole, Huntington, Boughton , Upton, Wistaston, Willaston, Audlem etc. Are you thinking of having an extension? We fully project manage from start to finish. We undertake all building works, electrics, plastering, plumbing, gas works, bi folding doors and velux windows. Unsure on the kitchen style you are looking for? Why not pop in for a coffee at our Chester showroom opposite Waitrose at 102 Boughton, Chester, CH3 5BP or our Nantwich showroom near Marks & Spencer at 56 Beam Street, Nantwich, CW5 5LJ. You can browse through our kitchen ranges and we can discuss your requirements. A kitchen is much more than a piece of furniture in your home. It has to be designed to suit your lifestyle which is why here at Deelux no two kitchens are ever the same. For a modern property you may like Bowden White (High Gloss Handleless), Sensia Platinum (Satin Matt Handleless) or Deedale White (High Gloss Lacquered). For a more traditional style opt for Souffel Ivory (Textured Shaker), Hollinwood Painted (Solid Wood Painted Shaker) or Falconbrook Painted (Solid Wood In Frame Painted Shaker). We have over 40 kitchen styles to choose from in an array of textures, colours and styles. Come and visit our Chester or Nantwich showroom today and let us make your dream kitchen a reality! Just wanted to take a minute to thank Jennifer, Michael and Graham for the fantastic job on our new Kitchen.Graham did a fabulous job and was a pleasure to work with. The finish is superb and we are delighted. We needed a bespoke kitchen and dining area for our 17th century thatched cottage. Deelux did an amazing job, working around low ceiling beams and timber as well as foundation stones. The result was fabulous incorporating all our “must have”s” and all in keeping with the era and feel of the cottage. Had my kitchen last week, fantastic service from start to finish. Fantastic family run business would 100% recommend to anyone. Good quality products and amazing before and after service. Thank you! We’re absolutely delighted with our new kitchen and wanted to say “Thank you” for your great after-sales service and the trouble you went to, to make sure everything was perfect! Good consultation through the process referring back to Deelux for design and decor ideas (tiles, paint etc). Excellent software to visualise the design before installed. Installation was very well constructed and hassle free. We are exceptionally pleased with our Kitchen from Deelux. We received a very high standard of service throughout the whole process – design, manufacture and installation (and when the freezer didn’t work on ‘day 2’ it was replaced by the manufacturer immediately, with no issue). We would not hesitate recommending Deelux to anyone thinking about installing a new or replacement Kitchen. I wanted to take a moment to thank you for the superb transformation that has taken place in our kitchen. From an old, tired kitchen with little storage to an elegant masterpiece that optimises the storage available. I have space for all my baking equipment meaning the work surfaces can remain clear. Thank you for providing a great service from start to finish! Thank you all for your help in creating our beautiful new kitchen for our new home. My wife and I have been delighted with Jennifer’s role in the project and Graham’s work ethics and skills during installation have been excellent. We are absolutely thrilled with our new kitchen. The superb design turned a problem pillar into an advantage and unified the old and extended parts of the kitchen. The units are of excellent quality and were fitted to perfection. All the works was well organised and ran very smoothly.